The Central Maine Sports Blog is at it once again, going to Boston for our "Day of Hockey 2"
1st we will be at the TD Banknorth Garden for the Boston Bruins/New York Islanders tilt, starting our Live Blog around 12:30. 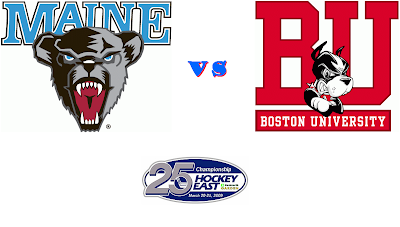 Next at 6:30 PM, we will be at Agganis Arena for Game 2 of the Maine / BU Round 1 Hockey East Playoff Matchup. Join Us for Both Live Blogs!! !